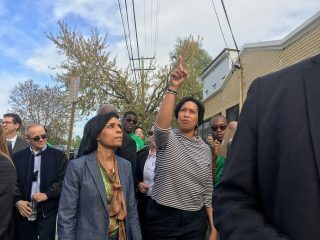 Washington, D.C. (Tuesday, April 10th) – D.C. Mayor Muriel Bowser and Prince George’s County Executive Angela Alsobrooks put on their walking shoes Tuesday to take an afternoon stroll through communities that are facing similar challenges in each jurisdiction. Surrounded by government employees from both DC and Prince George’s, Bowser and Alsobrooks held a press conference at the Marvin Gaye Community Center at the corner of Eastern Avenue and 61st Street, NE to discuss their shared interest in combating quality of life issues in their respective hometowns. 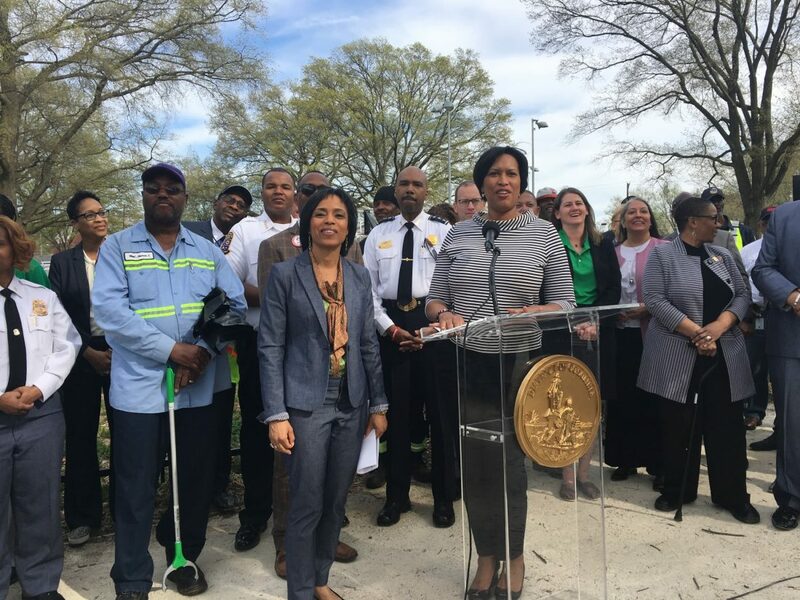 “We speak frequently and work together diligently to address the issues that effect the residents of Prince George’s and Washington, D.C.,” said Bowser. 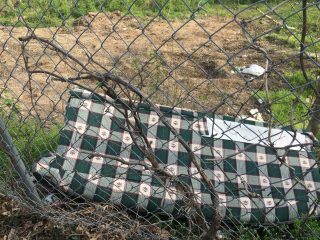 Both jurisdictions have been seeing an uptick in illegal dumping and litter. 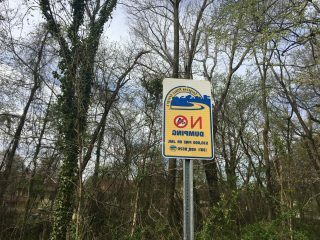 D.C. has installed cameras in targeted areas of the city to especially catch businesses in the act for dumping things like tires. Similar actions are in place in Prince George’s County. Both leaders got an eyeful seeing some of the trash problems first hand while DPW workers picked up the litter during the walk. “The two hometown girls are having the opportunity to represent our jurisdictions and we have done so with love and energy,” said Alsobrooks. After the press conference, the two elected leaders walked along Eastern Avenue, NE talking with residents. Along the walk, Bowser and Alsobrooks heard and saw an almost kinship of problems and concerns as they moved from Ward 7 in the District into Seat Pleasant in Prince George’s County. 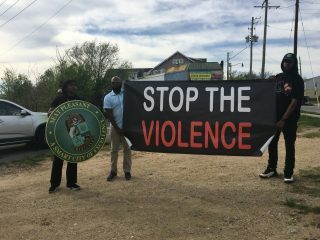 There was plenty of litter, illegal dumping, abandoned and dilapidated properties, uncut grass, evidence of illegal drug use, and complaints about prostitution. The walk has been a monthly staple of the Bowser administration. The mayor brings representativse from the various branches of the city government. Alsobrooks, who has been in office less than six months, vowed t hat she will begin holding similar walks on a monthly basis in Prince George’s County.